Perhaps some future image software will have a button to click to glitch (perhaps it already exists, let me know in the comments if it does), the sort of remediative emulation that once drove the design of Adobe After Effects filters that reproduce ‘realistic’ film scratches and the grain of legacy film stocks, or the Hipstamatic iPhone app which creates digital photographic images that look like seventies snapshots. subsong started life as an audio cassette tape found in Bermondsey on Tower Bridge Road. The tape contains music recorded from the radio and dates from, I would guess, the mid 1990s or thereabouts. The main section of the piece was captured with the tape playing on fast forward/cue. The digital audio was then incrementally slowed down to produce continuous sound with a duration of 45 minutes, the capacity of one side of a C90 cassette tape. This extreme processing transforms the base materiality of the analogue tape. The off-speaker microphone recording, the wow & flutter, the tape noise, and the songs of daytime radio, become auratic affect as a continuous slowly changing ambient drone piece, a distant chorus of ghostly voices and sustained (dis)chords in an uneasy false stasis. A 30 minute version of subsong was made for the 128kbps objects project by or-bits.com presented from 22 – 28 October 2012 at Basic.fm. Curated by or-bits.com 128kbps objects is a week-long internet radio exhibition which explores ideas of objects in transformation across a variety of artistic practices, mediums and sites. 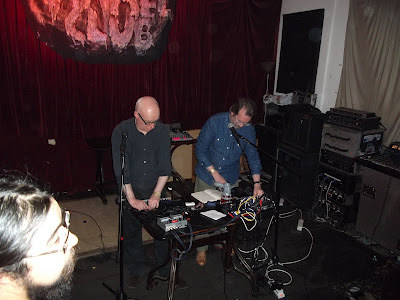 On line from 22 — 28 October 2012 at http://basic.fm/radio. My 30 minute sound piece subsong will play on Saturday 27 October at 3pm. More information here. Compiles abstracted improvised experimental objects, indifferent distracted viewing objects creating a viewer. Made from television images, analogue vision mixer effects, primitive circuit bending and hacking - inputs through outputs feedback loops and so on - from a single improvised session's visual source material. Forms and techniques used are limited, sound is sequenced and manipulated samples. Winter Soup was made to accompany two-projector 16mm film work Autumn Fog by Lynn Loo, performed at Unconscious Archive 4 at Apiary Studios, Hackney, London yesterday evening. This particular performance was actually recorded today as the live performance was not recorded. I first performed an accompaniment for Autumn Fog last year at Seeing in the Dark in Newcastle. In Autumn Fog Lynn explores the colours of leaves in her back garden, superimposing positive and negative 16mm film in live projection. For the performances I recorded sounds in my own backyard and read a text relating observations of events in the backyard and its proximity. 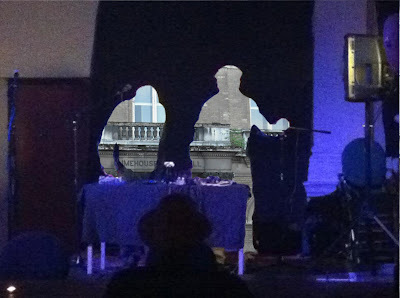 The text was layered live using a looping record unit. For each performance I made a new recording and text in order to make the work as temporally close as possible to the everyday specificity at the time of the performance. 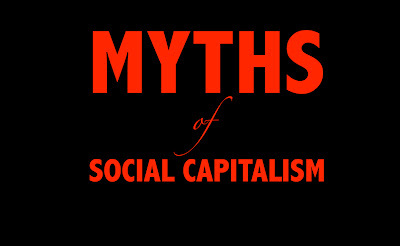 Myths of Social Capitalism, a set on Flickr.